Mariners South County is an independent, fully self-sustained member of the Mariners family of churches. We are a community of ordinary people from all walks of life courageously trusting Jesus to do the extraordinary. Simply put, we’re trusting Him to do what we can’t – heal, transform, renew, forgive, provide and sustain. Through our stories, He is glorified, lives are changed, and our communities are impacted. Mariners South County was established in summer 2018 through the joining of two churches: Mariners Mission Viejo and Mariners Ocean Hills. But this isn’t a story of two churches becoming one; it’s about two churches becoming three, then four, and so on. Part of the expanded vision and mission of Mariners Church South County is to be a hub to equip and send out church leaders to grow the church into new communities and transform our county. The foundation of this next season is the belief that we can do more together: more for our families, more for our cities, and more to reach people with the love of Jesus. Wherever you are on your spiritual journey, Mariners South County welcomes you. At the core of our DNA is the belief in reaching more people throughout the county, and now we will step courageously into that calling to equip leaders to plant new churches. Jeff grew up an Orange County kid who started asking questions about God in junior high. During those years of wondering and identity-defining, Jeff’s budding walk with Jesus began. It was some time later, however, while attending UCLA and being among people who were addressing his same early search in a far more sophisticated manner than he ever could have anticipated, that something new emerged within him. People were challenging the church, God, truth, beauty and even suffering with a fresh and potent curiosity. Many, it seemed, were foraging for something they couldn’t define. It seemed as if they were looking for something that felt a lot like Jesus, only, they weren’t aware of it. It was then that Jeff committed to giving a voice to that unnamed longing – pointing people to Jesus. It was also at that time where he began to sense God nudging him toward a career in full time ministry. Not long after graduation Jeff joined the staff of a local church and married Amanda in 1999. Together, they live in Mission Viejo along with their three kids and a hyper-affectionate labradoodle. Jeff Pries has served at Mariners Church for the past 19 years, starting as the High School Pastor in 1996, shepherding students and helping them connect in their faith. After eight years, Jeff transitioned into the role of Young Couples Pastor, looking to provide help in the area of marriage and parenting. Jeff was also a member of the speaking team for five years prior to moving down to San Juan Capistrano to lead Ocean Hills Church in 2013. Ocean Hills Community Church (which became Mariners Ocean Hills in 2013), got its name over 40 years ago and through the years it has been a welcoming home for people seeking to learn more about what it means to follow Jesus and a church the community could lean on for support and care. 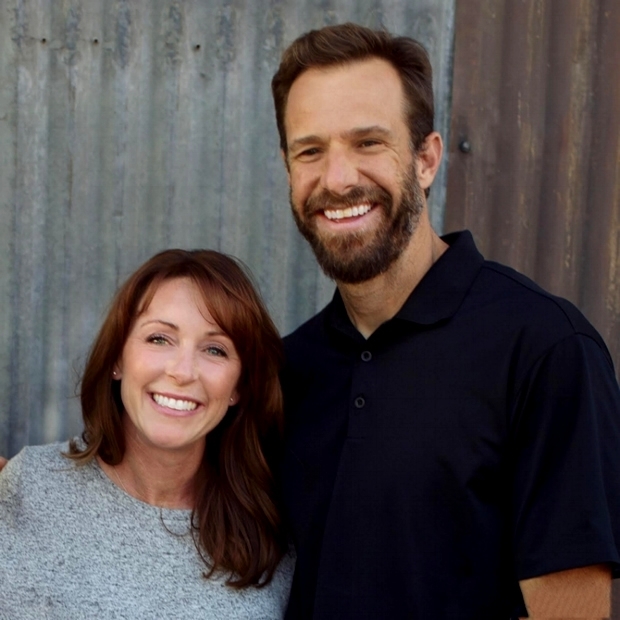 Jeff serves as lead pastor of Mariners Church South County and is a part of the teaching team for weekend services. In addition, as part of the churches expanded vision to equip leaders to plant new churches, Jeff oversees the mentoring and development of lead pastors-in-training. He absolutely loves the community of people who are a part of the Church. He is blessed to be part of a church that is making a difference in South Orange County.